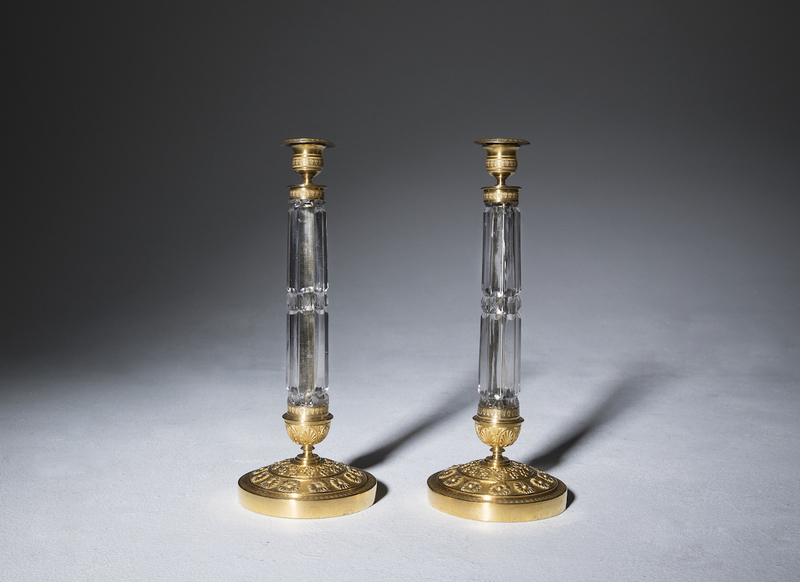 A pair of Russian ormolu and cut glass candlesticks, early 19th century. 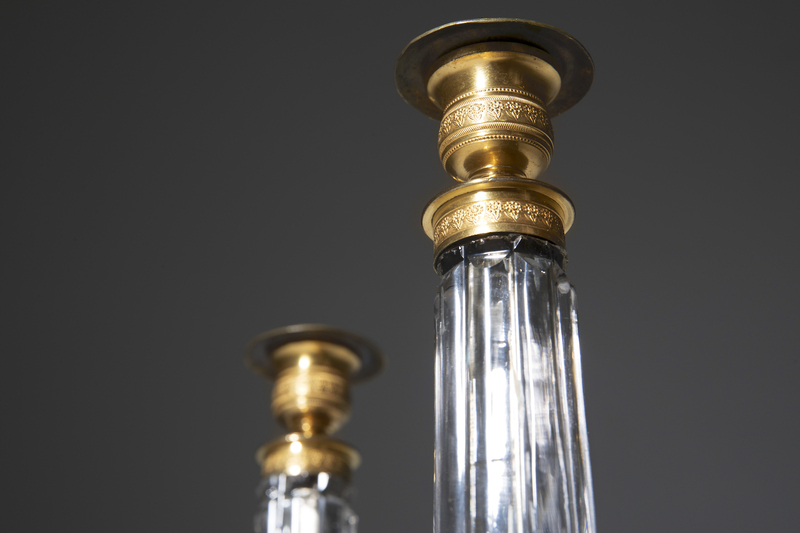 Each candlestick with a cut glass column on a gilt bronze flower cast base. 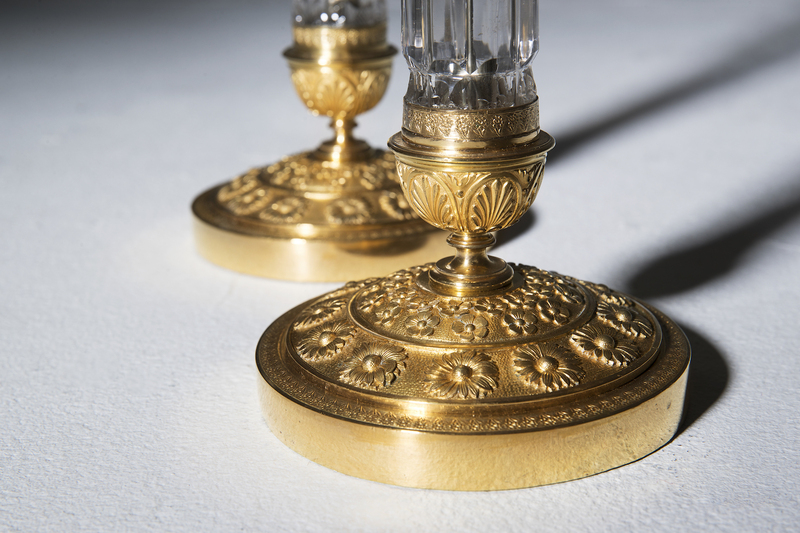 The candleholders cast with flowers and leafs. A very rare and decorative model. Good condition, minor ware consistent with age.